commented on "New Cover & New Look for this Sofa!" New Cover & New Look for this Sofa! 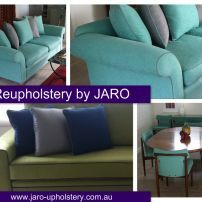 We can reupholster your favourite sofa in any colour you desire. Select from linens, weaves, velvets, suedes, leather and loads more. We can replenish or replace cushion inserts if required. 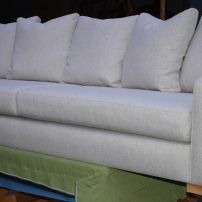 commented on "Sofa Reupholstery with contrast piping." Sofa Reupholstery with contrast piping.